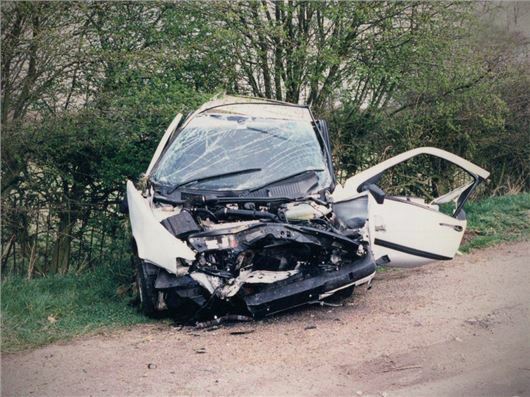 Road Safety charity Brake has warned that drivers are taking too many risks when it comes to tiredness. In 2011 there were 84 deaths and 420 serious injuries in tiredness related crashes in the UK, yet according to Brake half of male drivers are happy to drive more than four hours without a break. Furthermore a third of all drivers admits to ‘pushing on’ if they feel sleepy at the wheel. The charity is campaigning to allow drivers who oversleep at motorway service stations to pay for parking retrospectively to avoid a fine, and is calling on the government to provide more stopping areas for drivers to take a break. Brake advises drivers who get tired to stop for a caffeinated drink and have a short nap before moving on or, if they’re on a long journey, it advises that drivers have a longer sleep. Rob Miles, head of Motor at Direct Line, commented: “While tired drivers may think that stopping for a break will increase their journey time, it's not worth the risk to themselves, their passengers or other road users. It is better to get there late than not to arrive at all." Half of drivers are too tired are they? Of course this comes from BRAKE who have nothing better to do than say blah! blah!blah! They never suggest a cure do they. Lorry driver kept awake until midnight due to local twits making a racket in this warm weather gets up at 5am to drive 250 miles. I know, he can phone work and say he is too tired to drive to which the boss replies - no work, no pay! Same goes for most who have to drive even though their sleeo has been disturbed. This organisaton do not live in the real world. They live where everybody has a perfect 8 hours of unbroken slumber in a nice rural community! They would be better employed pressuring the police to clamp down on boy racers with those noisy exhausts on "micky-mouse" cars who roar along trying to attract everyone's attention the poor sily sods. Totally agree with not2posh Brake are not a road safety organisation but a bitter anti motoring lobby. I feel sorry for anyone who has lost someone close through a road accident or any other cause (as is the case for many people I can speak from experience on this) however Brake just campaign against all aspects of motoring from speed limits to 4*4's and now this. Perhaps they should imagine what the UK would be like if they got there way, The destruction of the competitiveness in our remaining industries, unworkable distibution costs pushing up food prices and more time spend traveling the same distances to work and back every day so every woring mother and father in this country gets to spend even less time with their children. It seems organisation like Brake dont live in the real world and never stop to think about what it would be like if they got there own way (Which is sadly what seems to be happening). Amazed groups like this are allowed charity status.